Controls pests in indoor and outdoor structures. Controls pests on a variety of indoor and outdoor facilities and structures. For use in: Commercial and residential and indoors and outdoors: Perimeter, athletic fields, greenhouses, kennels, parks, restaurants, lawns, turf-grass, landscapes, ornamental trees and shrubs. Not for food and vegetable gardens. See label for complete list. Gallon (128 oz.) 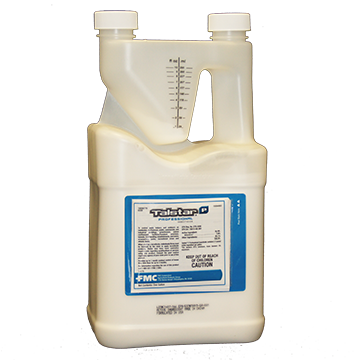 concentrate yields 128-256 gallons of finished solution or covers 128,000 to 256,000 square feet for broadcast application. Stink bugs, bed bugs, spiders, mosquitoes, cockroaches, ticks and fleas, pillbugs, chinch bugs, earwigs, millipedes, dichondra, flea beetles, spittlebugs and more. It is very effective on Japanese beetles, clover mites, ants, termites, spiders, scorpions, roaches, army worms, mealybugs, mites, grasshoppers, cutworms, sod webworms, weevils, leaf miners, box elder bugs, bees, wasps, sowbugs, crickets, and turf and ornamental pests. Please see label for complete list.